When will be My Cat from Hell: Worst Cat-astrophes next episode air date? Is My Cat from Hell: Worst Cat-astrophes renewed or cancelled? Where to countdown My Cat from Hell: Worst Cat-astrophes air dates? 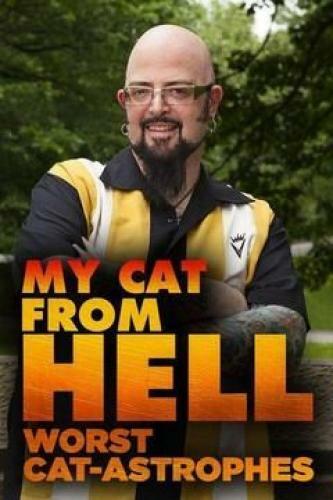 Is My Cat from Hell: Worst Cat-astrophes worth watching? My Cat from Hell: Worst Cat-astrophes is a series that airs extended enhanced episodes with extra information, deleted scenes and bonus unseen footage from the show "My Cat from Hell" that also airs on Animal Planet. New resident Penny terrorizes Puck, a sweet senior cat, resulting in bloodshed every time; a family's cat gets so out of control they have to call 911. Jackson gets the call to help out some adrenaline junky cat owners; these skydivers and race car drivers love to get their blood pumping but their cats are taking it too far. My Cat from Hell: Worst Cat-astrophes next episode air date provides TVMaze for you. EpisoDate.com is your TV show guide to Countdown My Cat from Hell: Worst Cat-astrophes Episode Air Dates and to stay in touch with My Cat from Hell: Worst Cat-astrophes next episode Air Date and your others favorite TV Shows. Add the shows you like to a "Watchlist" and let the site take it from there.